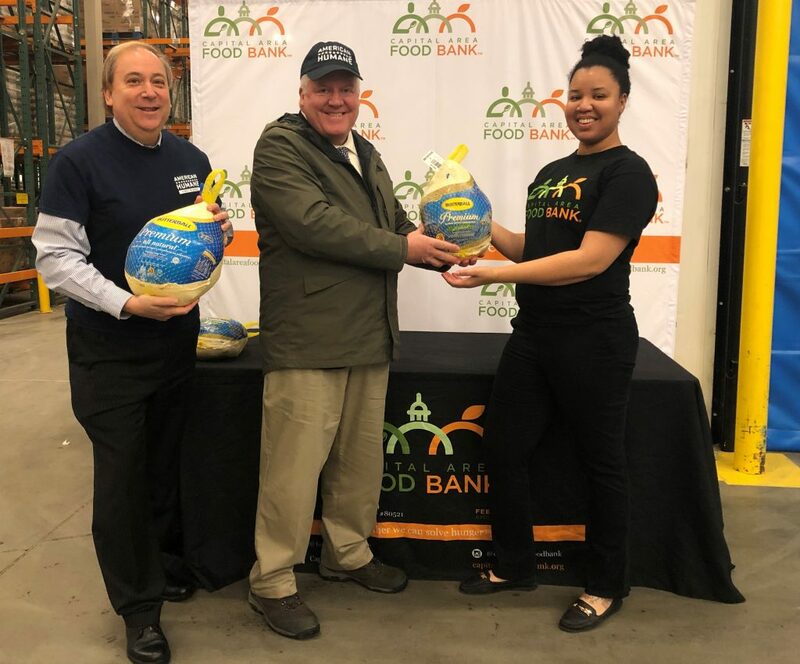 As the nation prepares for Thanksgiving, American Humane and Butterball, the iconic brand of turkey that has become synonymous with Thanksgiving, worked together to make the holidays more humane for both humans and animals by delivering a truckload of humanely raised American Humane Certified turkeys to the Capital Area Food Bank in Washington, D.C. Over 200 turkeys will be distributed to local churches, day care centers, and homeless shelters to help make the holiday brighter for everyone. “We hope this donation will brighten the holidays for many in the Washington area… Our goal is to inspire joyful experiences and bring people together over nutritious, healthy, and ethically raised food,” said Dr. Alice Johnson, Senior Vice President for Animal Well-Being at Butterball LLC. The food and cheer were followed by our “Humane Table” event on Capitol Hill, a congressional briefing hosted by the Congressional Humane Bond Caucus that outlines the humane advances made in agriculture. The event encouraged everyone to set a humane table not just during the holiday season, but all year round and served to spotlight American farmers, ranchers, and producers who do the right thing and raise their animals with compassion and care. We were proud to be part of this briefing, as the American Humane Farm program certifies humane and ethically driven farms who do right by their customers and their animals by raising them under verifiable science-based standards designed to cater to animals’ needs and comfort. “We want to thank our friends at Butterball for committing to verifiably humane practices and for working to make a better world for both people and animals,” said Dr. Robin Ganzert. As we enter the holiday season, we urge you to give back to your own communities and to remember to set a humane table by buying from American Humane Certified producers.